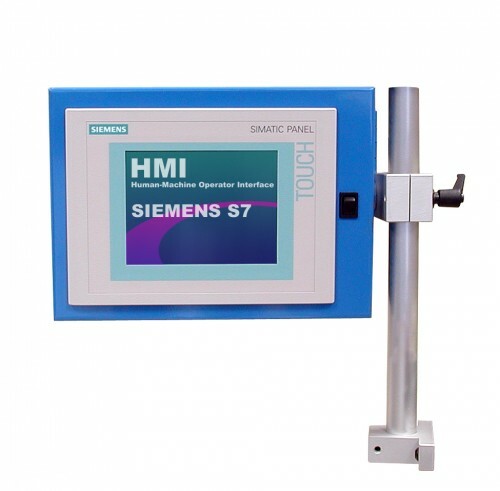 Amatrol’s Mechatronics HMI Terminal Learning System for Siemens S7-300 PLC provides human-machine operator interface. HMI interfaces are becoming the standard in modern industry for interfacing to programmable controllers. Amatrol’s HMI Terminal Learning System includes the HMI, WINCC Development Software, an HMI Terminal Module, a Workstation Pedestal Mounting Module, curriculum, a student reference guide, and an installation guide. As an online option to the printed curriculum, Amatrol’s eBooks look like real books and allow users to flip between pages with ease. Enhanced with features like keyword searches and zoom control, eBooks enable a user to quickly locate and view information, which advances a learner’s understanding of concepts at the click of a button. The thorough, detail-oriented curriculum features high quality graphics paired with hands-on, applied skills to keep learners focused and engaged in their work. These eBooks are available online through Amatrol’s Learning Management System (LMS), allowing courses to be taken completely online anywhere with an internet connection! Sourced from the curriculum, the Student Reference Guide takes the entire series’ technical content from the learning objectives and combines them into one perfectly-bound book. A sample copy of this course’s Student Reference Guide is included with the learning system. If you would like to inquire about purchasing additional Student Reference Guides for your program, contact your local Amatrol representative for more information.